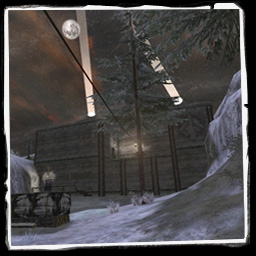 // 04.08.2017 Cedric 'keMoN' E.
This map is a conversion of the original Frostbite custom map created by Moonkey. The source file is included in the .pk3. •	The player is now able to stop and revert Storage Wall movement by activating the button again. •	Alarm now also sounds when the Service Door has been dynamited before the Storage Wall and Main Door. 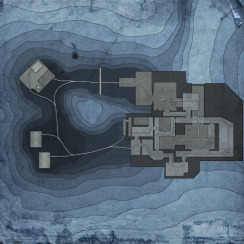 [q3map2] -bsp -meta -patchmeta -samplesize 16 -v -mv 1024 -mi 6144 "[MapFile]"
[q3map2] -light -fast -samples 6 -samplesize 16 -v -thresh 0.05 -lomem -dirty -dirtdepth 256 -lightmapsize 512 -patchshadows -external "[MapFile]"